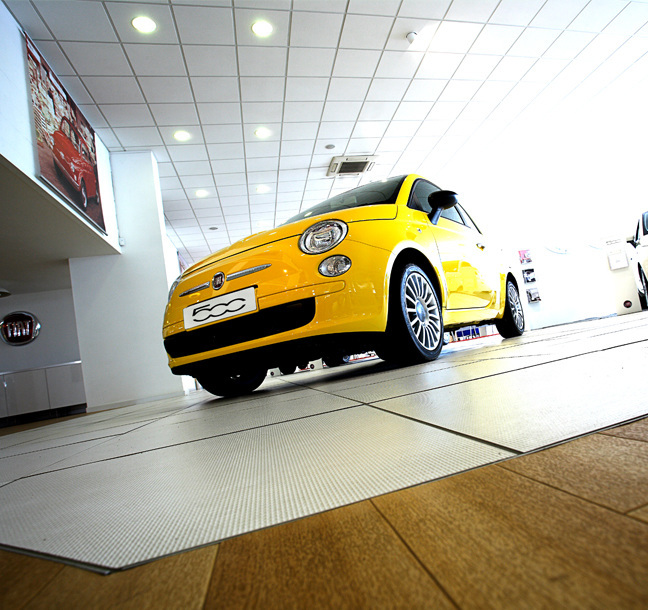 Principle works with Chrysler Corporate to manage and implement the Chrysler identification programme. 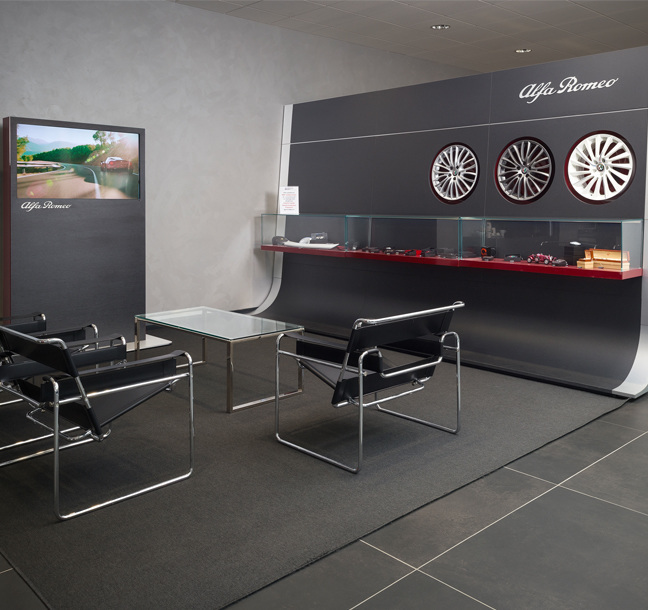 Chrysler embarked on a programme to present the new company and improve their image, concentrating primarily on signage and graphics. 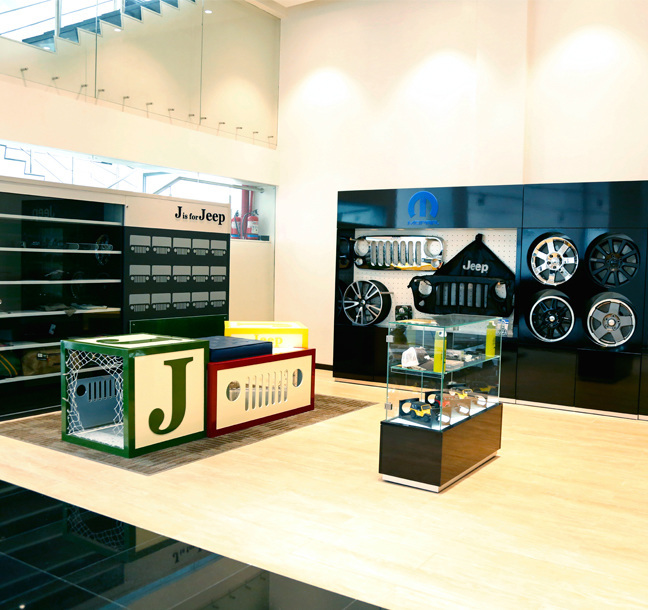 Principle translated the design, prototyped several options, created a family of signs and graphics, and re-engineered the brand representative of the new “Millennium”. 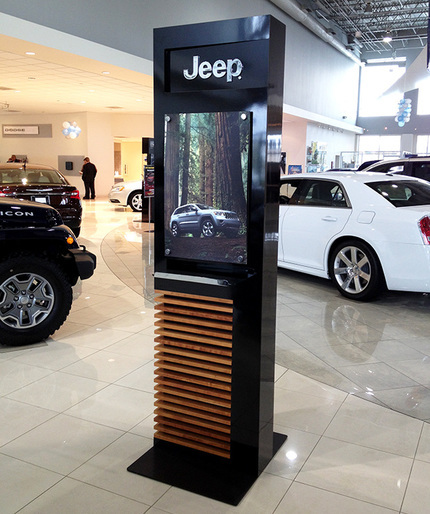 Principle created a retrofit solution for the new image, eliminating the need for replacing existing signs, saving Chrysler millions of dollars annually in the process. Over the past 5 years Principle has re-imaged over 1,200 dealerships across the U.S and the UK to the “Millennium” image. Due to the success of the programme, Principle’s global reach and Chrysler’s desire to have a consistent brand worldwide, Principle has since been awarded further corporate identity programmes in Europe, Mexico, Ireland, Russia, Korea, Japan and Australia.